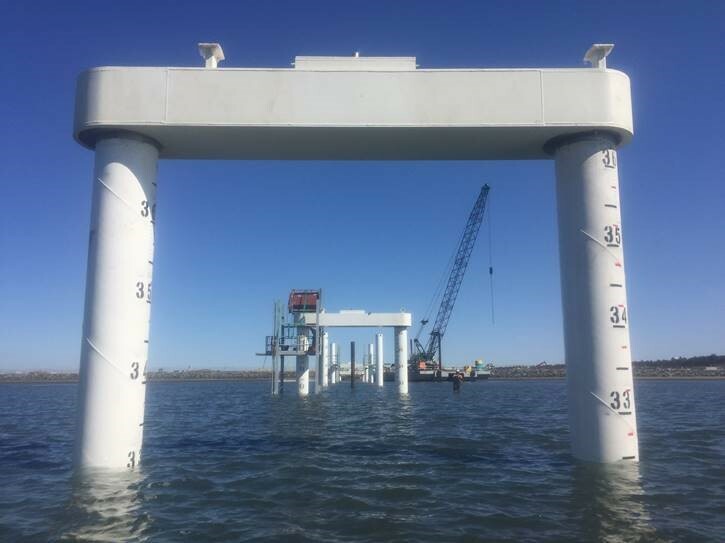 Only a month or so after signing a contract with our client Port of Brisbane, the team at Brisbane International Cruise Terminal have mobilised our barge Maeve Anne to site and driven the first piles on the new terminal. 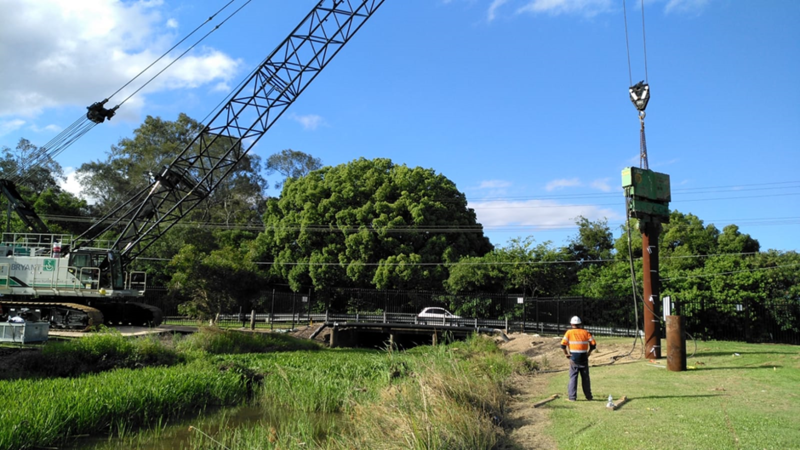 Construction of a new pedestrian bridge linking the Carina playing fields for Brisbane State High School is now well underway, with completion expected before the end of the year. 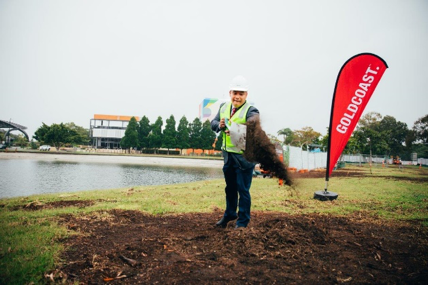 The City of Gold Coast has marked an important milestone in the evolution of its cultural heartland with a sod turning on the much anticipated HOTA green bridge. Next time you are flying through Brisbane ask for a window seat on the northern side – this will give you a perfect view of the HIAL North jetty we have recently completed for our client Skyway (CPB-BMD Joint Venture). The 360m long jetty will support and provide access to the approach landing lights for Brisbane’s new runway. 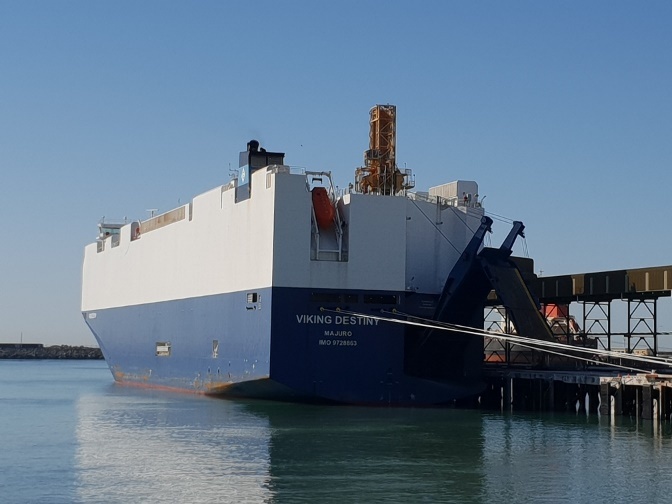 The first Ro-Ro vessel docked at the Port of Mackay today utilising wharf upgrades undertaken by Brady Marine & Civil for North Queensland Bulk Ports. The contract has included fender upgrades on both wharfs 4 and 5, together with modifications to facilitate the berthing and unloading of Ro-Ro vessels. 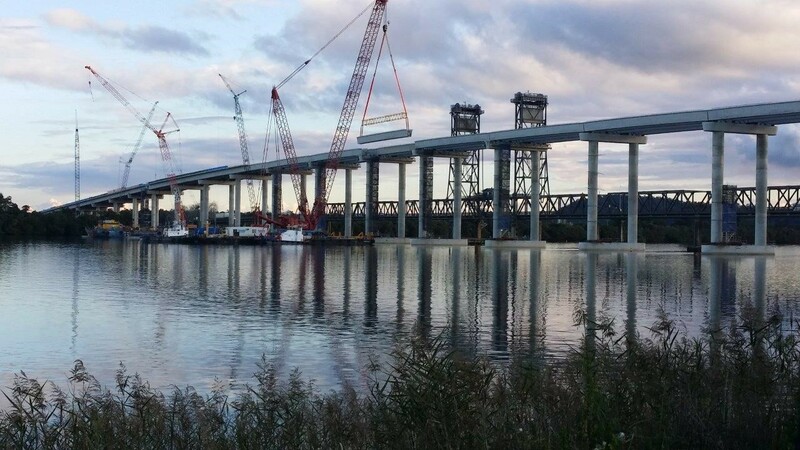 The last of 144 girders have been lifted into place on 18 July 2018 on the bridge over the Clarence River at Harwood, as part of the Woolgoolga to Ballina Pacific Highway Upgrade. Brady Marine & Civil and our Client Acciona Ferrovial Joint Venture have been working collaboratively with Roads and Maritime Services and Pacific Complete to complete this part of the upgrade. The upgrade is jointly funded by the Australian and NSW governments. 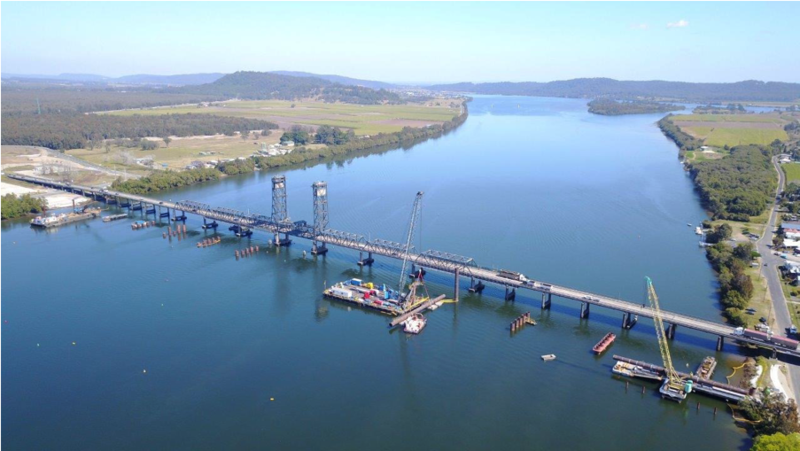 Brady Marine & Civil Grafton team recently completed the last bored pile on the marine portion of the new Grafton bridge project in Northern NSW. 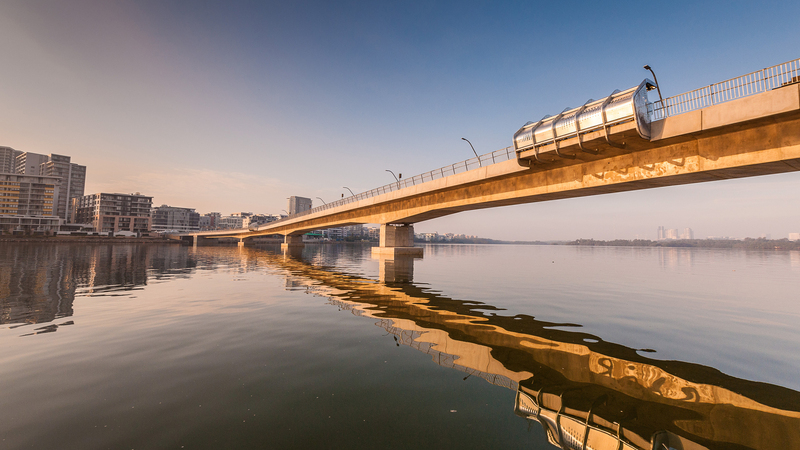 The NSW Government is funding this $240 million project which involves building an additional 525 metre bridge 70 metres downstream from the existing road and rail bridge. 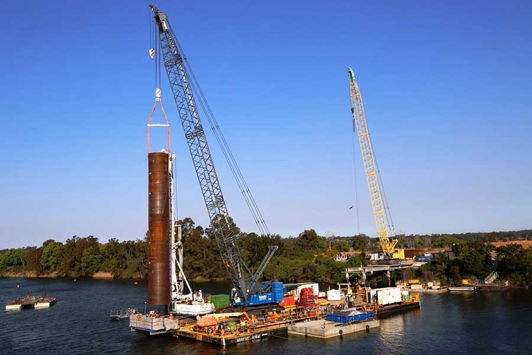 The Brady subcontract works include all five river piers and the installation of the associated 65T pre-cast skirts on the project, which is being delivered for Fulton Hogan and Roads and Maritime Services. 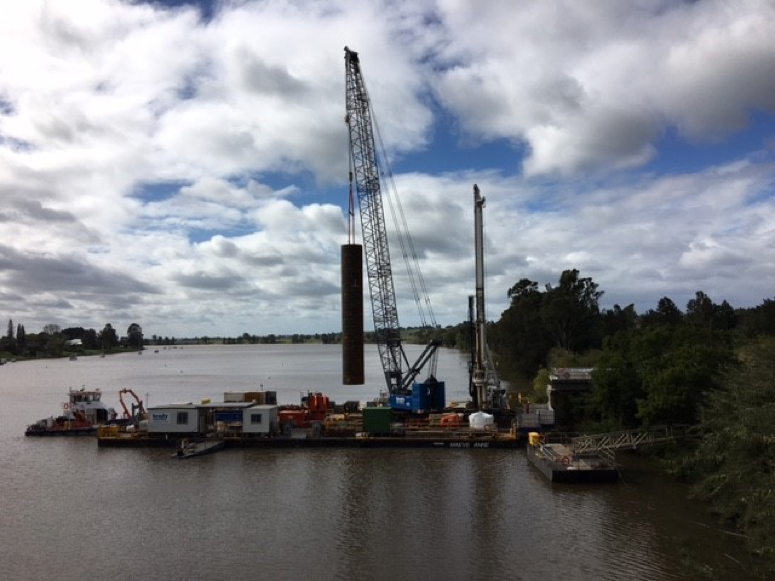 Last week Brady Marine & Civil’s Harwood team completed the last land driven pile for the new bridge over the Clarence River at Harwood, which is the longest bridge on the Woolgoolga to Ballina upgrade. 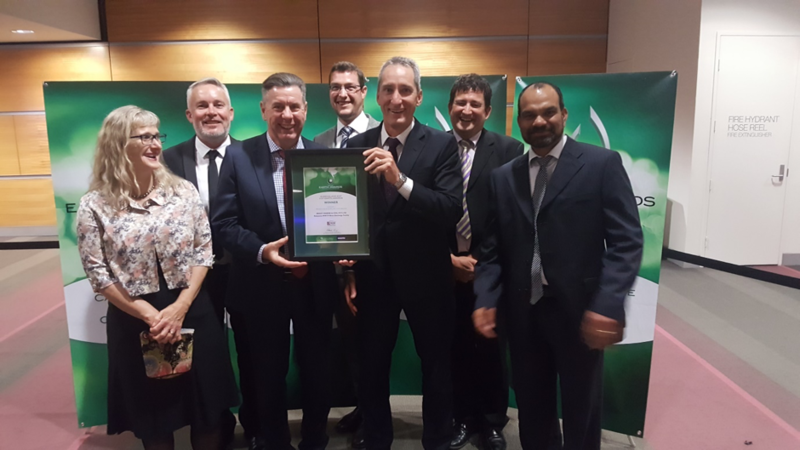 We are pleased to announce our success at this year’s Earth Awards, with the Rubyanna River Discharge project collecting the Category 2 award at the Civil Contractors Federation Queensland awards last Friday night. After arriving in Yamba in April 2017, our barge the Maeve Anne has arrived in Grafton for the delivery of marine works associated with the construction of Roads and Marine Services’ new Grafton bridge project.